She’s about to join Agents of S.H.I.L.E.D. as Bobbi Morse. 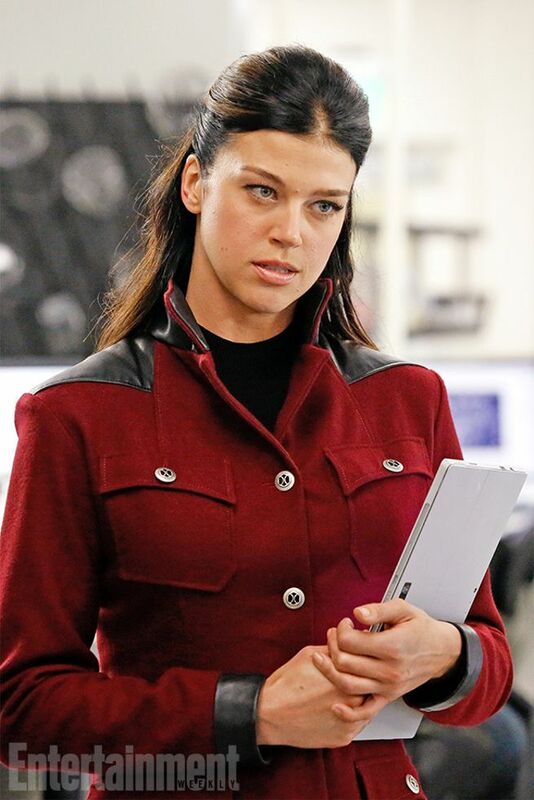 The show thought that it’ll be great to introduce Bobbi Morse as head of Hydra Security and the future Mockingbird, which kind of makes her a double agent. Take a look at the uniform she’s wearing, when i first saw her buttons all I could think off was X-Men. Anyway she’ll appear in October 21st’s in the episode called A Hen in the Wolf House.